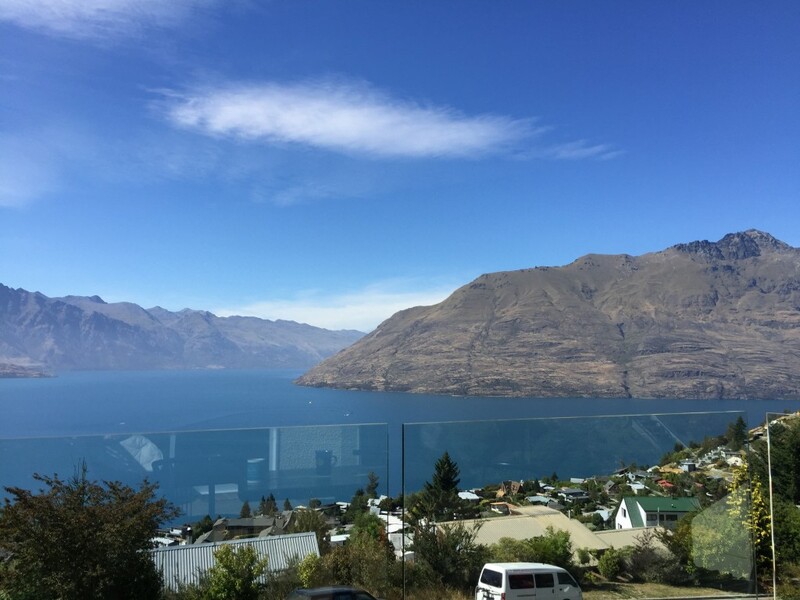 Queenstown, New Zealand sits on the shores of the South Island’s Lake Wakatipu, set against the gorgeous Southern Alps. 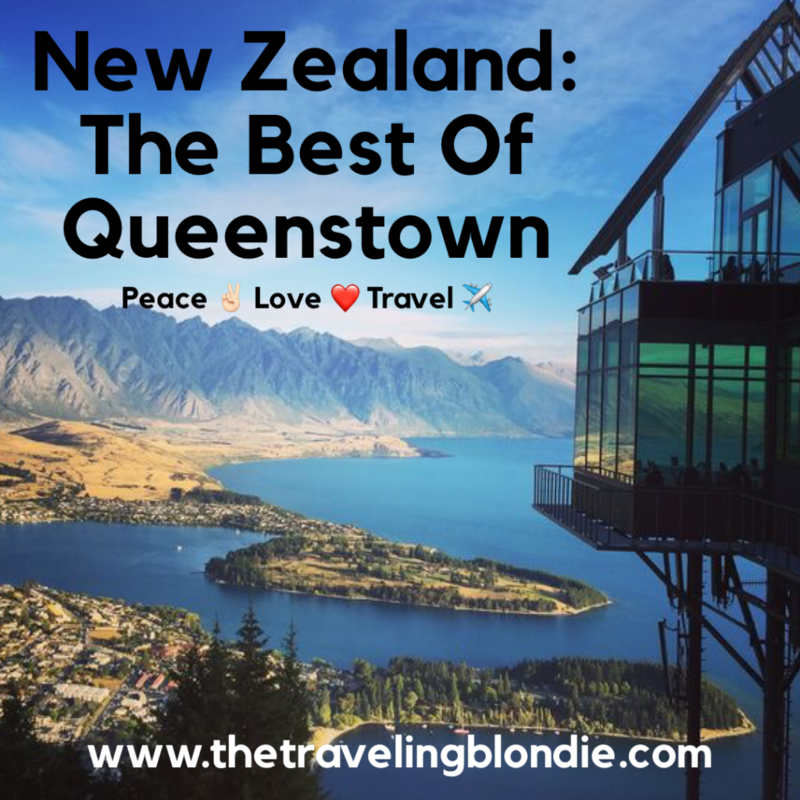 I’ve never loved a town so much as Queenstown, the people, the atmosphere, everything. Allow 2++ days to explore this magnificent city. Renting a Car: This is a MUST while visiting New Zealand, as most of its sights are very spaced out. Be sure to rent/bring a GPS, especially if you won’t have wifi on your phone. For 2 weeks, we rented a car for about $600USD (around $40USD/day). Note: New Zealanders drive on the opposite side of the road as Americans, so this is a BIG adjustment and takes some serious concentration! 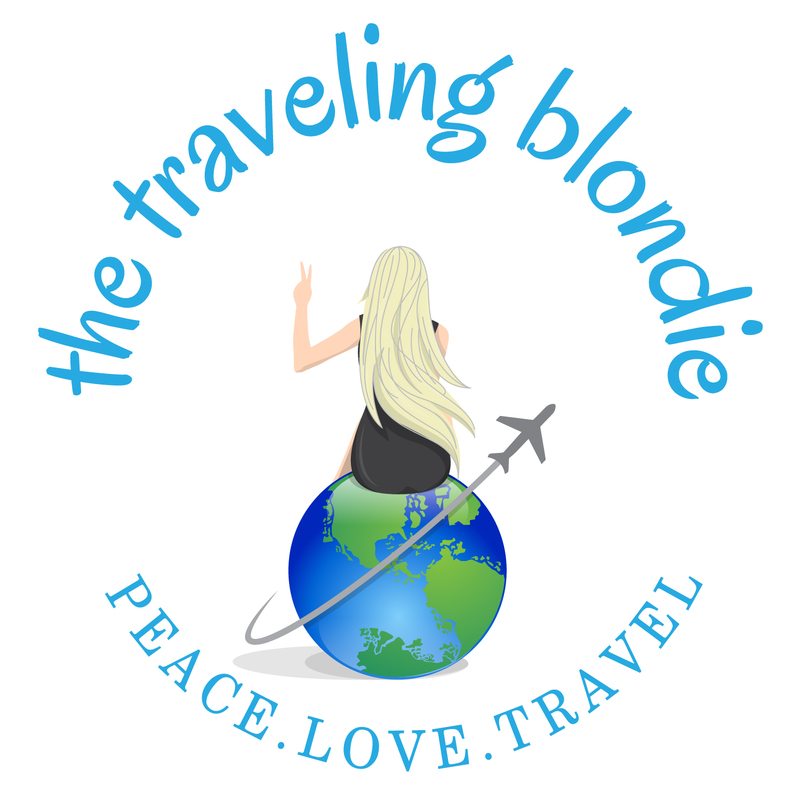 RV Rental: Many people rent a camper van/motor home and utilize that as both their transport and accommodation (we’ll be doing this next time!). 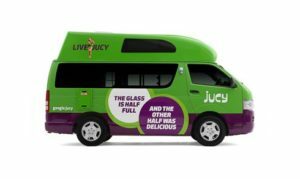 Juicy Rentals is by far the most popular in town. A standard camper van will cost about $1470 for 2 weeks (around $105USD/day). Our Airbnb had the most breathtaking views from our balcony. 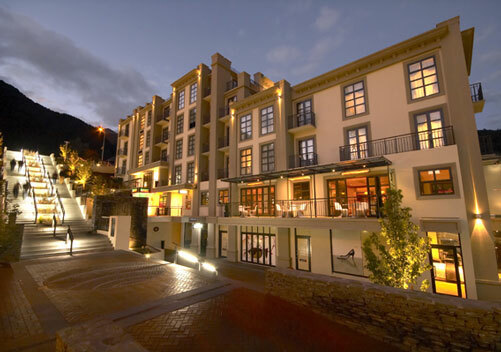 Sofitel is located right in the middle of the city, with affordable rates. If we didn’t book an Airbnb, we certainly would’ve stayed here. Rates start at $130USD/night. 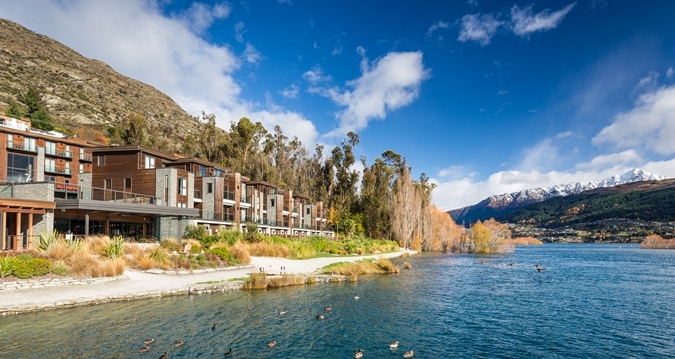 The Hilton Queenstown is located a bit outside of town, this is a less expensive option located right on the water and includes the outstanding service you’d expect with the Hilton franchise. 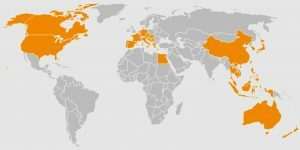 Rates start at $100USD/night. This incredible city is known as the adventure capital of the world, so there is no shortage of activities to do here! Even if you’re not a thrill seeker, there is still plenty to do in this picture perfect city! Take the Gondola up the mountain for breathtaking views of the city! 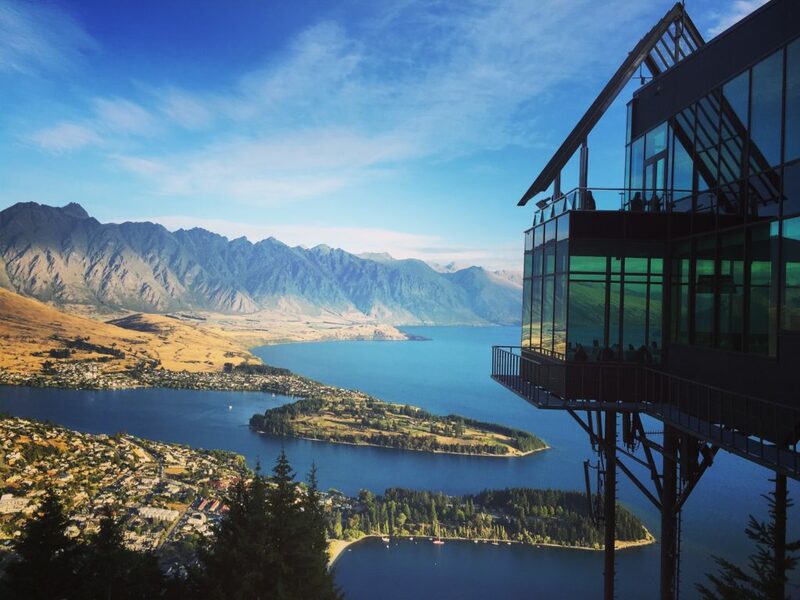 Skyline Queenstown is a cable car that takes you to the top of the town with the VERY BEST vies of the city! Arrive 1.5 hours prior to sunset to capture the day/night views. For dining, Stratosphere Restaurant sits at the top, although we wouldn’t recommend it (it’s overpriced and the food is mediocre). I’d definitely advise having a glass of wine up top with the view, though! There’s also a luge that you can ride down, which is super fun! The Gondola Ride up and 2 Luge Rides down will cost you $47NZD ($34USD). Gondola only is $33NZD ($24USD). Shotover Jet Boat riding through the iconic Shooter River Canyons…it doesn’t get much better than that! Great for adults and children! Note: The boat departs every 15-minutes. They allow infants (3-4 years), but all children must be a minimum of 1 meters high to be able to ride the boat. Cost per ride is $100USD. 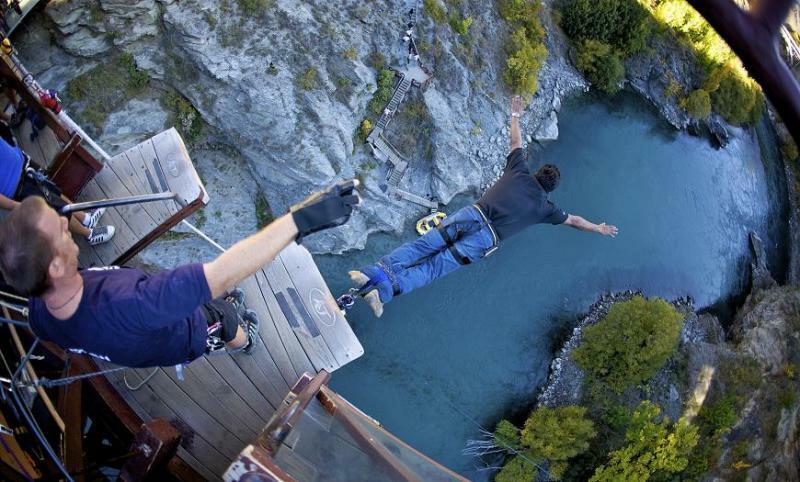 Bungee Jumping At Kawarau is THE place to bungy in New Zealand! The bridge is located 20-minutes outside of QT. I wasn’t brave enough to do it this trip, but I did sky dive! Cost per jump is $135USD, with photos costing $30 and both photo and video costing $55. The TSS Earnslaw departs from the Steamer Wharf on Queenstown’s lakefront. 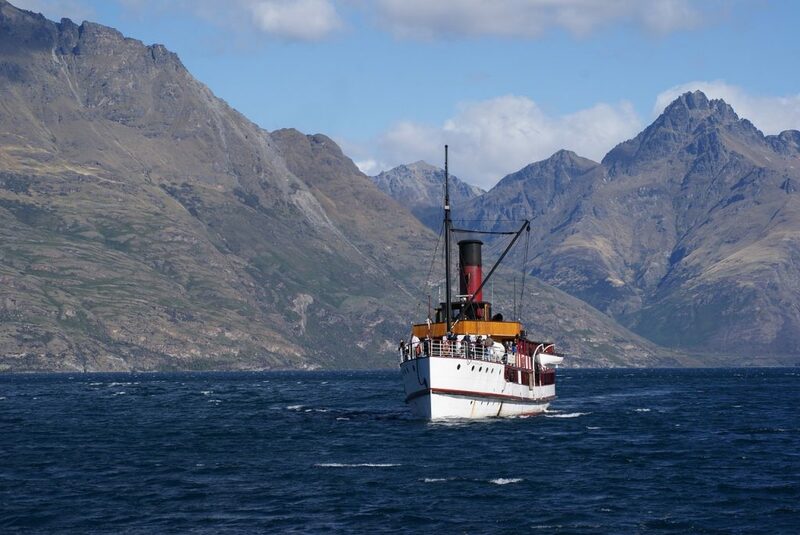 This vintage steamship, nicknamed ‘The Lady of the Lake,’ is the best option to enjoy the stunning views of Lake Wakatipu. Cruises last 1.5-3.5 hours, depending if you choose to stop for a farm tour. 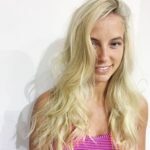 The cost for the cruise only is $40USD and with the farm tour is $55USD. 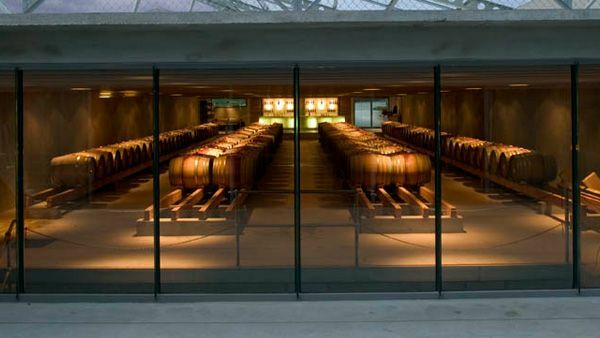 Peregrine Wines is located 20-minutes outside of Queenstown. This is an awesome spot to taste some locally made wine! Wine tastings are free of charge. Located 30-minutes outside of Queenstown, The Remarkables is THE mountain to ski/snowboard, if you’re in town during the season. The season for winter sports is June-October. For more information on skiing and snowboarding in New Zealand, check out NZ Ski Info Website. 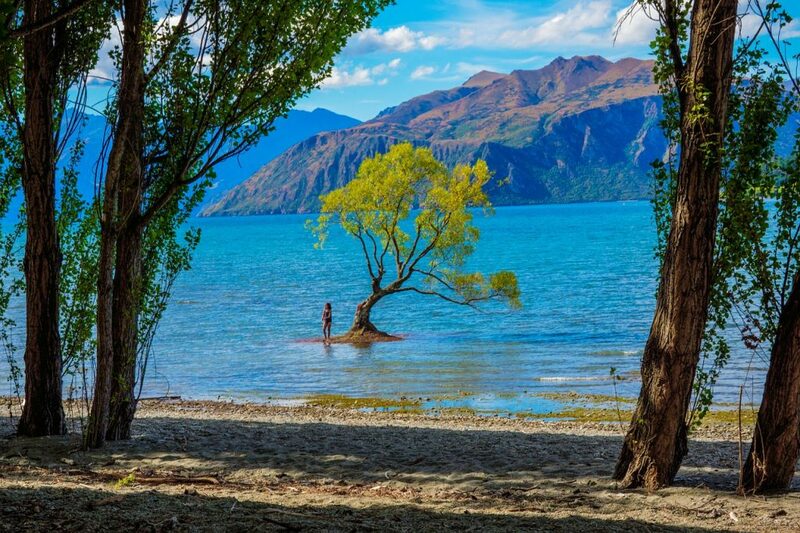 Lake Wanaka is located 1 hour and 10 minutes from Queenstown. It’s a beautiful, pristine lake that makes a great day trip to just stroll around and soak in the beauty of nature. There are many cafes and shops to eat and pick up various goodies. 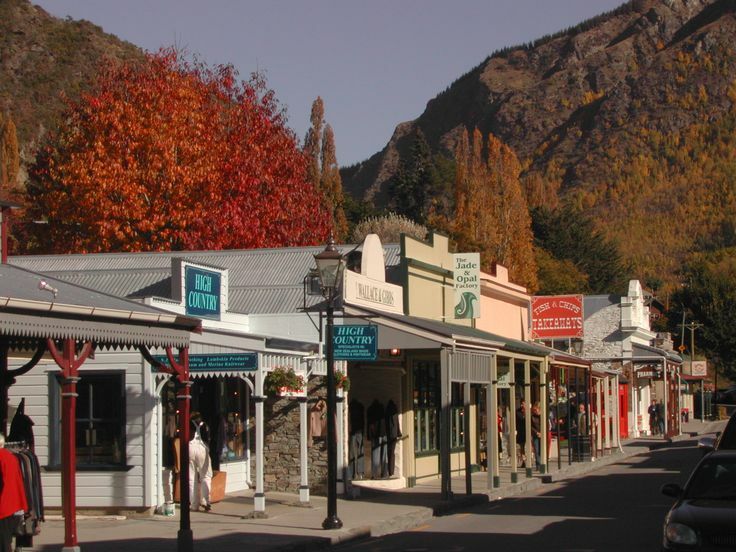 Arrowtown is located 20-minutes from QT. This is another great day trip to eat, drink, walk, bike, shop, golf and enjoy winter sports. The best steak and fries ever! 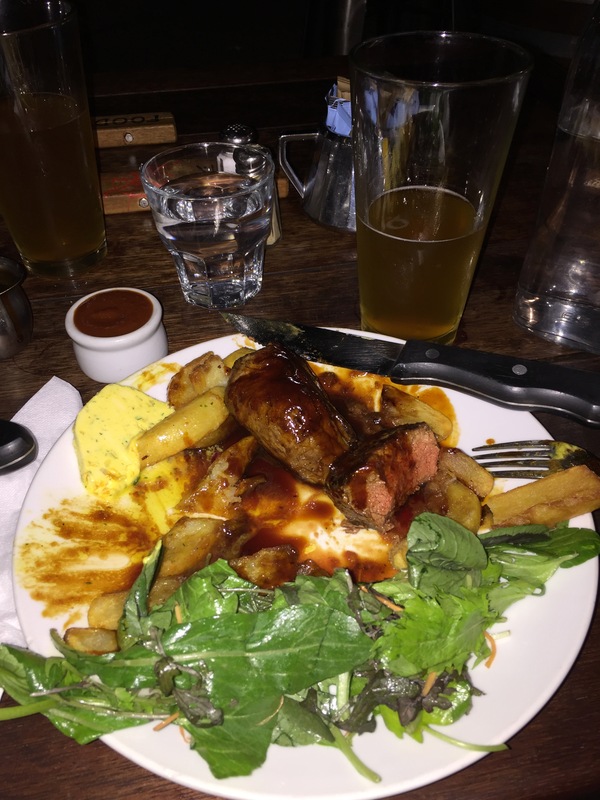 Atlas Beer Cafe has the BEST steak we’ve ever had, for an affordable price! Their 22 craft beers on tap are totally amazing too! This was by FAR our favorite restaurant in the city, we must’ve eaten here at least 5 times! Order their rump steak with homemade French fries. Yum! 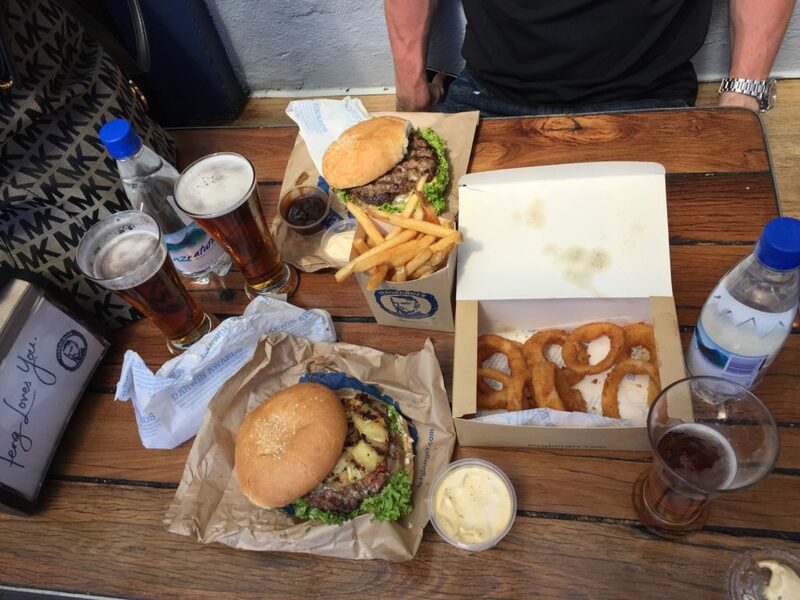 Flame Bar & Grill came highly recommended and far surpassed our expectations. You’ll definitely need a reservation. Be sure to get a table on the balcony overlooking the city. 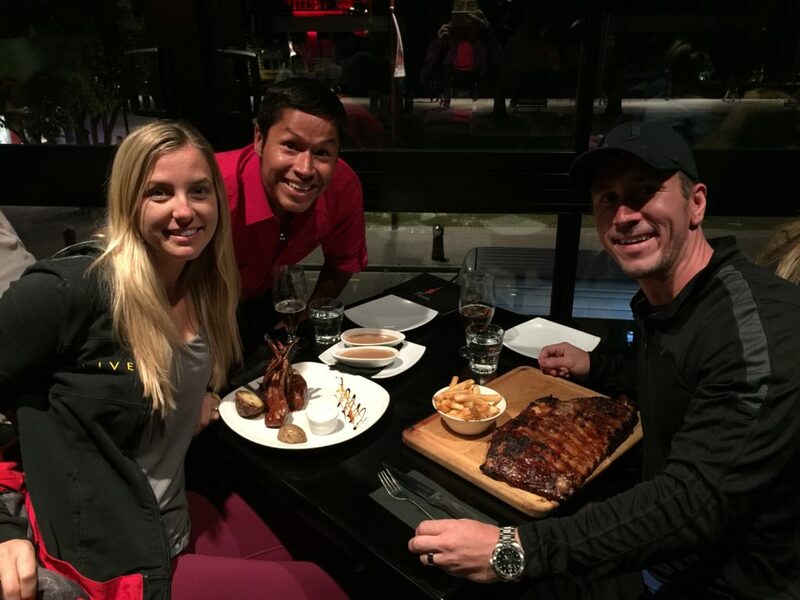 The rack of ribs and lamb are mouthwateringly delicious! A trip to QT is NOT complete without eating at Fergburger. Don’t be deterred by the large queue, as it goes quite quickly and the staff keeps you entertained with vibrant music, cookies and refreshments. We went at lunchtime and waited about 45-minutes total, including the wait for our food after ordering. I’d recommend eating here for dinner or late night, as I was in a food coma for about 90-minutes afterward. Their hours are outstanding, which gives you a lot of options to go during non-peak times: 8:30am-5:00am. 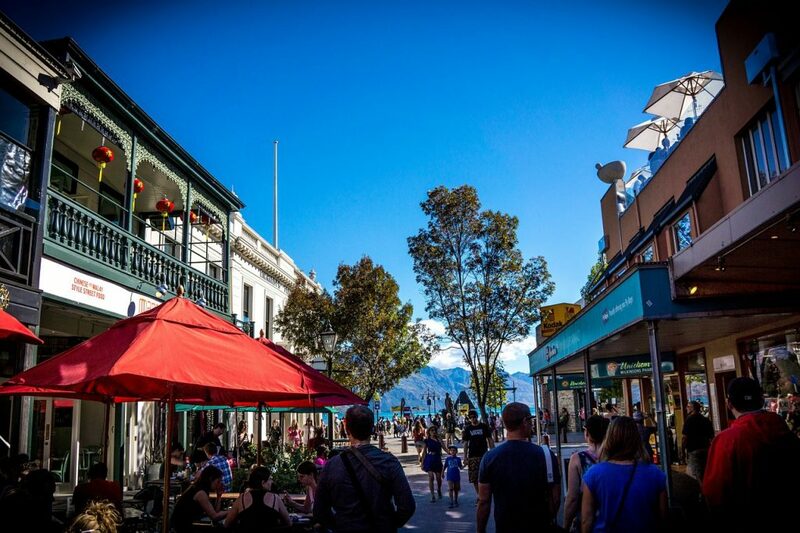 I’m totally in love with the streets of Queenstown! There are MANY little boutique shops throughout the streets of QT full of anything you could imagine. We even found a Lulu Lemon! This is one of the BEST places on Earth, so soak it all on and stay as long as possible! We wish we would’ve had 2+ more days in this incredible city!